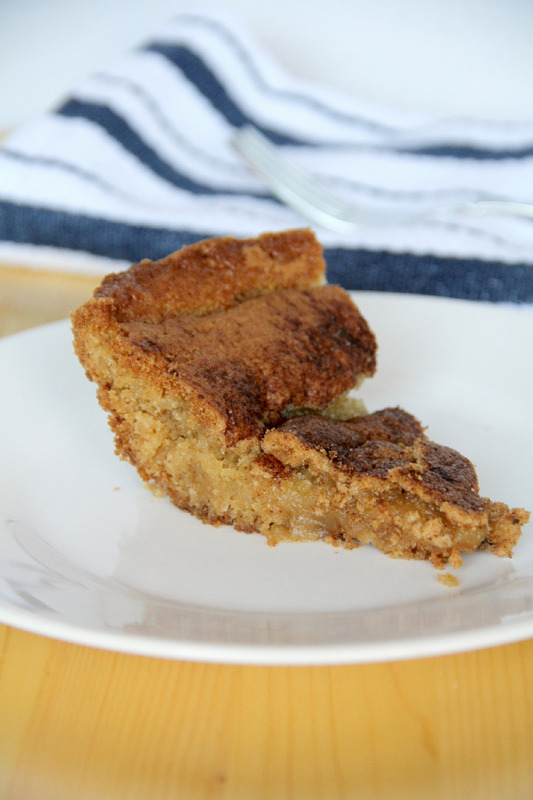 Snickerdoodle Cookie Pie - Quick and Easy! 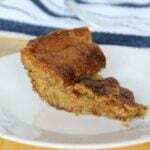 Home » Recipes » Desserts » Cookies » Snickerdoodle Cookie Pie – Quick and Easy! 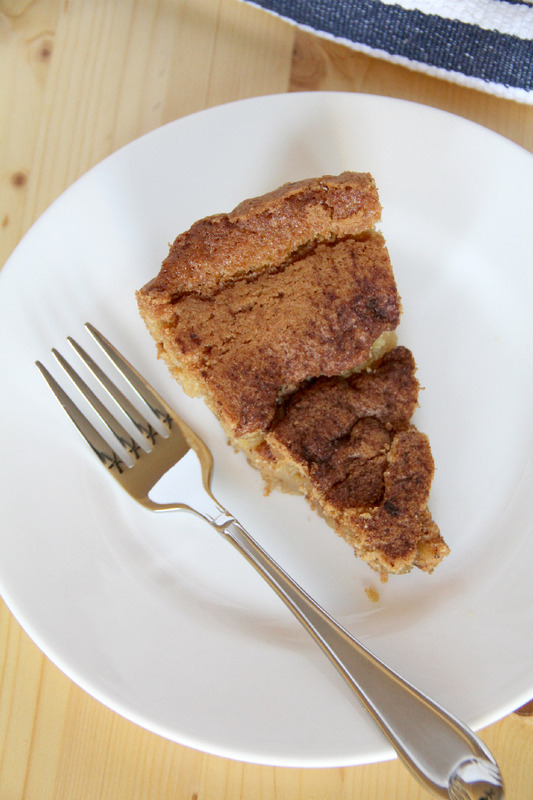 Snickerdoodle Cookie Pie – Quick and Easy! 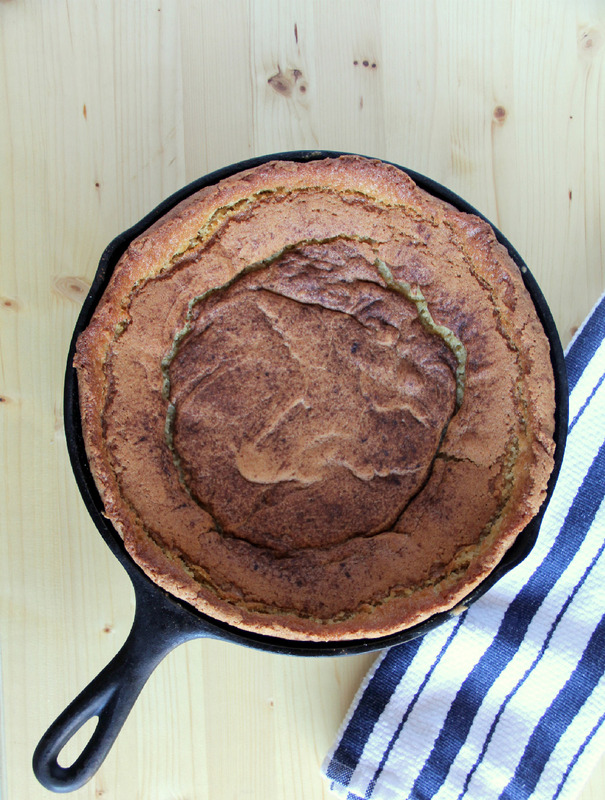 Snickerdoodle Cookie Pie in a skillet—a warm, cinnamony snickerdoodle cookie baked in a skillet so it’s chewy and soft, just waiting for a scoop of vanilla ice cream! While chocolate chip is my first love when it comes to cookies, and tea cakes are my second, snickerdoodles would have to be my third. I love the pillowy softness, the hint of cinnamon, and the sweet sugar cookie-like flavor. Sometimes though, you just don’t have time to make cookies. Enter Stage Right: the Snickerdoodle Cookie Pie. It’s the answer to life’s most pressing dilemma—what to do when you want a snickerdoodle cookie but don’t have time to bake cookies. Okay, maybe not the single most pressing dilemma, but it’s up there in the top twenty, am I right? Try the Chocolate Chip Cookie Pie too! 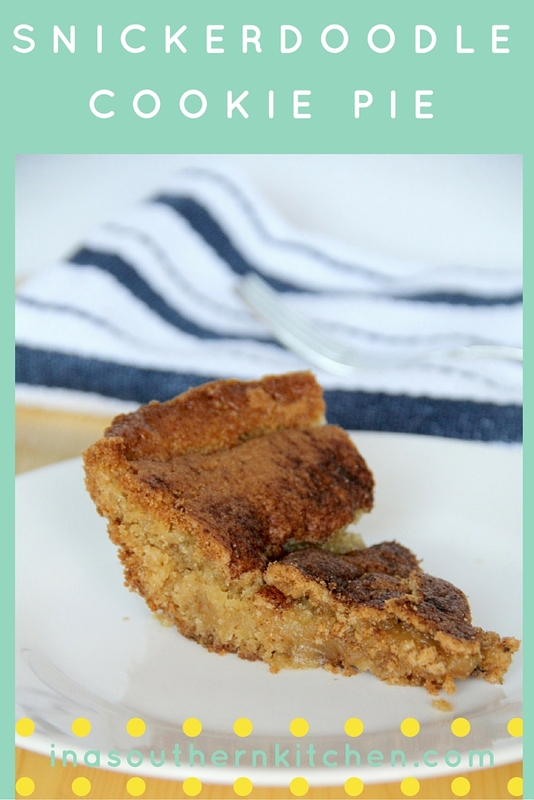 This Snickerdoodle Cookie Pie is similar to my Chocolate Chip Cookie Pie in that it’s super easy. You make up your cookie dough, no chilling required, and spread it in a skillet, then bake until almost done. I like it gooey in the middle although if you like it crispier then increase the baking time. Simple and delicious! Perfect for an after school snack or weeknight dessert. 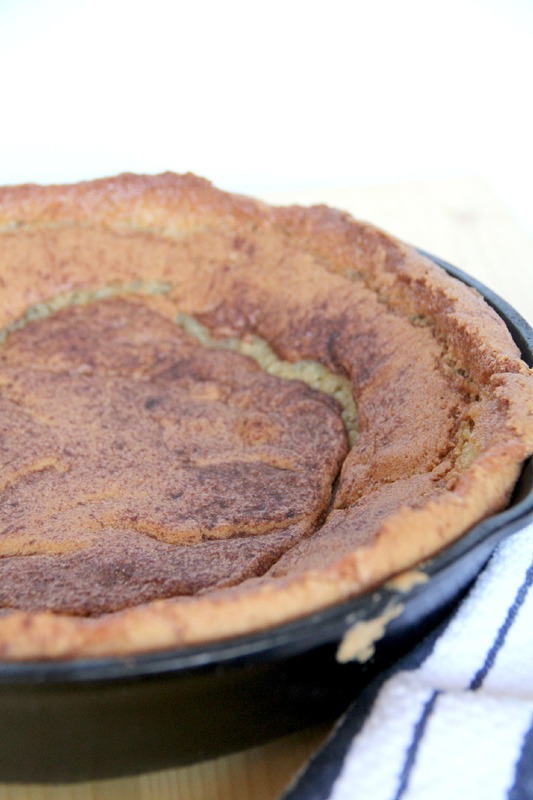 Snickerdoodle Cookie Pie in a skillet—a warm, cinnamony snickerdoodle cookie baked in a skillet so it's chewy and soft. Preheat oven to 350. Grease a 10-inch skillet, 8x8-inch baking pan, or deep dish pie plate with butter. Whisk flour, cream of tartar, baking soda, and salt together and set aside. In bowl of stand mixer, cream the butter and shortening for 5 minutes. Add 1 cup granulated white sugar and 1/2 cup brown sugar at medium speed until well mixed, scraping sides of bowl as needed. Add eggs and beat for about 30 seconds. Add dry ingredients and beat a low speed just until combined. Spread batter into prepared skillet and sprinkle with cinnamon sugar. Bake for 30-40 minutes or until center is almost set or toothpick comes out with gooey crumbs. You may need to adjust baking time if using a dish other than skillet because the dough may be thicker or thinner. Previous Post: « Chocolate Coca-Cola Cake: Old-fashioned Chocolate Goodness!